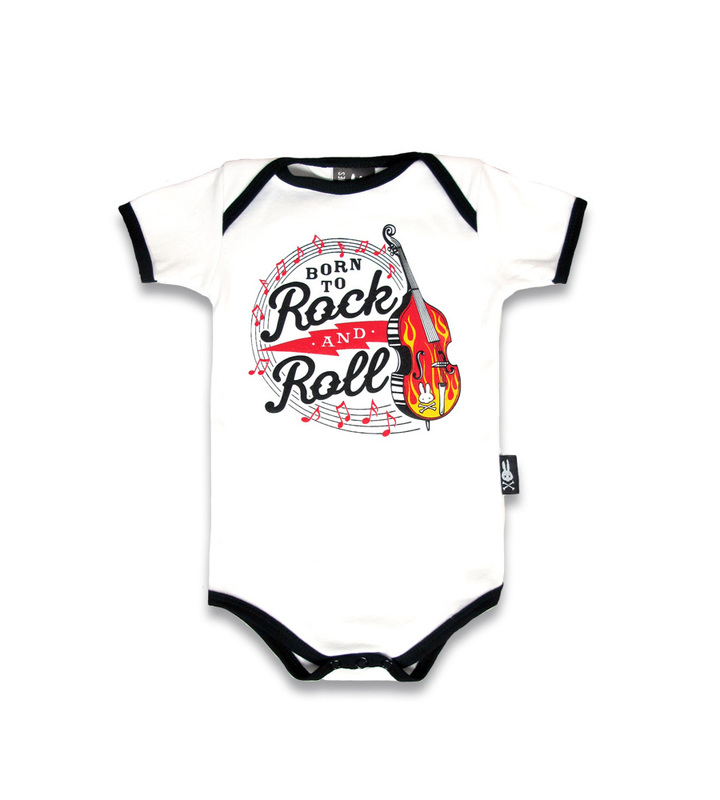 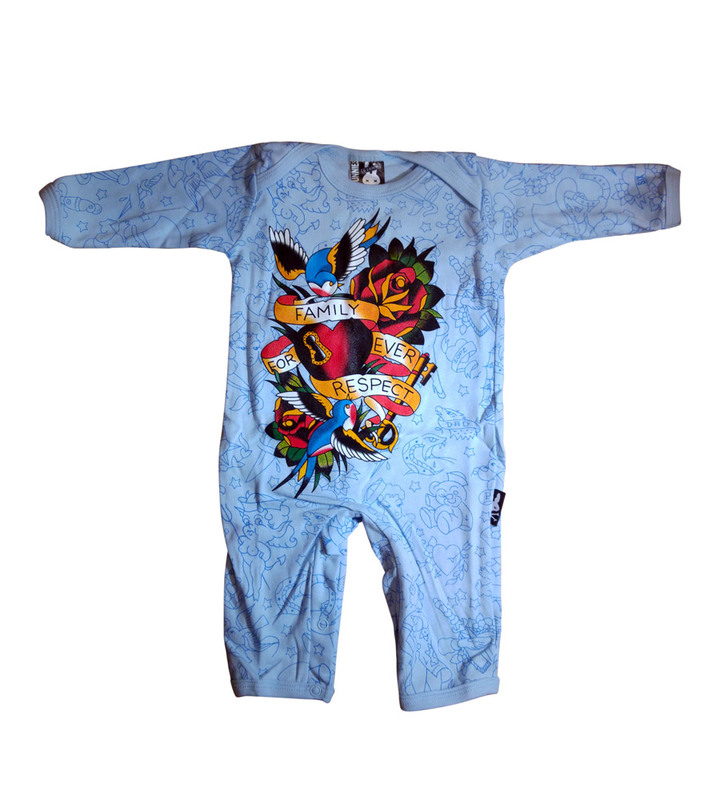 Are you already in love with this rockabilly baby onesie? 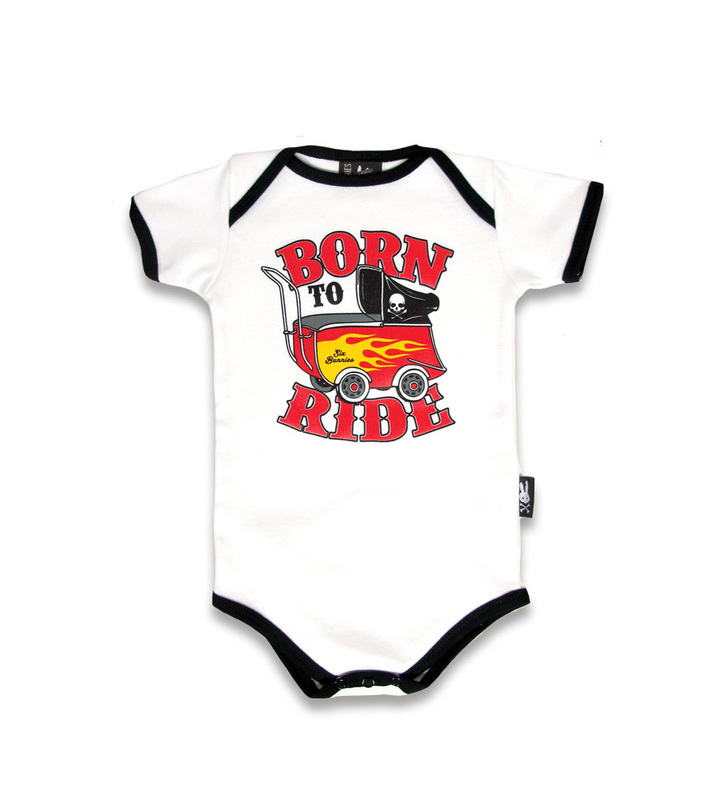 It's irresistibly cute and yet, it brings the pure spirit of hard rock. 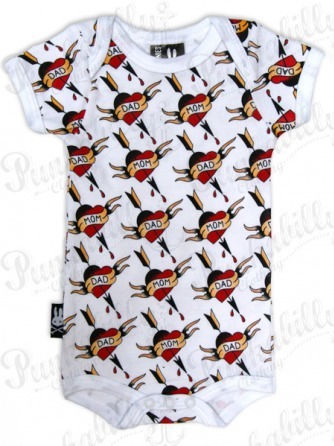 It is short sleeved and it has numerous printed hearts saying "Mom" and "Dad". 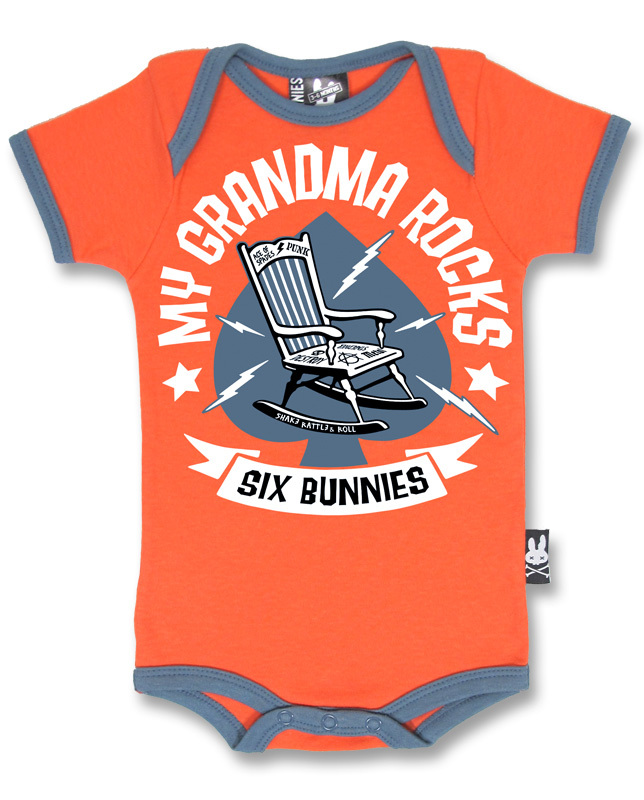 Rock and roll was never this much adorable!